7700 Leesburg Pike, VA — S. C. Herman & Associates, Inc. Welcome to our 150,000-square-foot commercial property in Tysons Corner, Virginia. Well located one minute from I-66 and the Dulles Toll and Access Roads, this property stands as a green oasis in a bustling commerical center. Featuring shallow bays with tinted glass windows, our tenants overlook a lush circular atrium with a magnificent trees, shrubs and flowers. 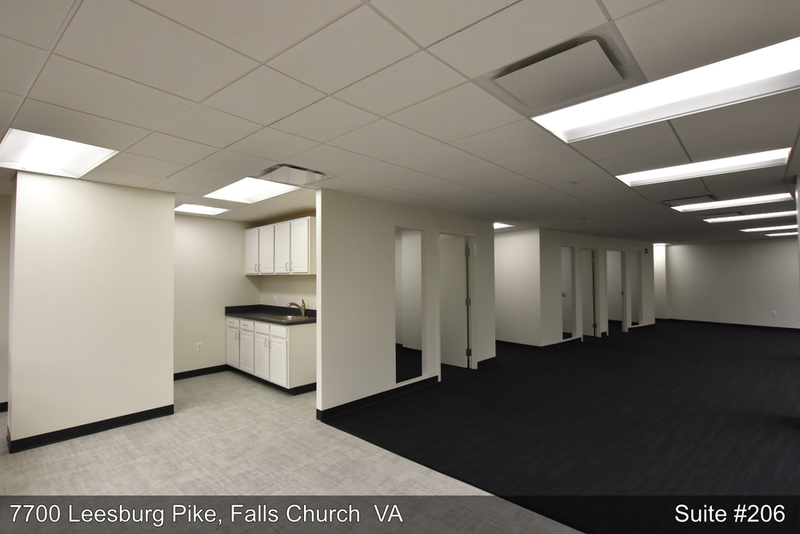 Check out the images below of two spec suites that in our 7700 Leesburg Pike location. These test designs include excessive amounts of natural light, glass wall conference rooms and an exclusive galley. Contact us today to see them in person! For information regarding this property, please contact us. Our friends at vts.com have produced a few short videos that give you the feeling of visiting our commerical oasis in Tysons, Virginia. Click the images below to see these videos!